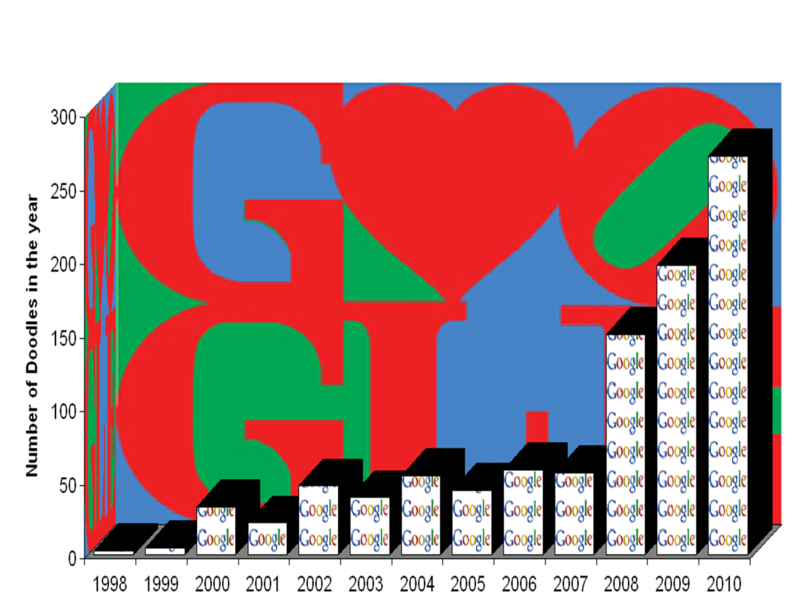 The 2011 Valentines Day Google Doodle was the 1001st Google Doodle since the craze began when Google created its first Doodle in 1998 to mark the Burning man Festival. This chart shows the staggering rise in the number of Doodles year on year. At this rate their may soon be more Doodles than days in the year – though not all Doodles appear in every country. So far the total for 2011 is just 22 so Google will need to step up the pace to match the 271 used last year. You can see every Google Doodle, all 1001 of them here.